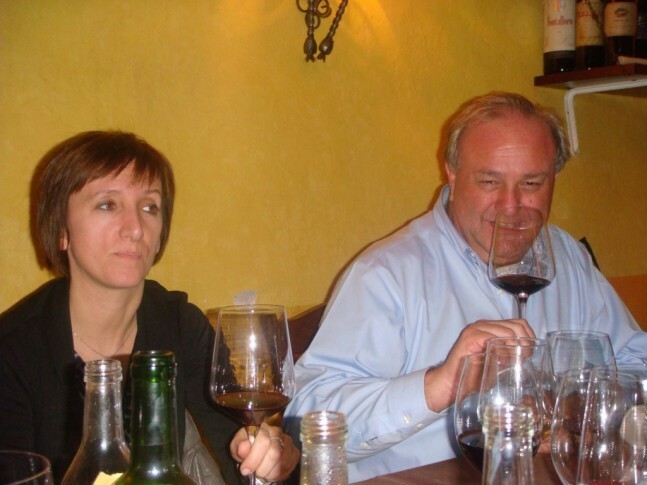 Singapore based Sommelier, Stephanie Rigourd, has an insatiable thirst for wine discovery and is a prolific blogger sharing her explorations and revelations up until recently on the Asia Wine Society website; visit this link for previous posts (http://www.asiawinesociety.com/sr/). We are delighted to host Stephanie on the Wandering Palate for future confessions on her travels on the wine route and vinous enlightenment. I am Stephanie; people in Singapore, where I am living, call me “Frenchy”. I am a sommelier from the Wine School of Tain l’Hermitage in Rhone Valley France and I have been working for the Hilton Singapore as chief sommelier since 2009. Wine and me; it’s a love story which started when I wasn’t even of age to drink it! As I am French, it’s definitely part of my culture. It became my passion through my Dad who allowed me to have a taste of it sometimes when I was really young (very common in French culture). So I studied wine in France from 2005 to 2007 and travelled by myself all over the vineyards of Rhone Valley, Burgundy and Bordeaux. I have worked several times with the wine makers during the harvest time in their wineries, trying to understand more and to get the secret of the wine making processes. 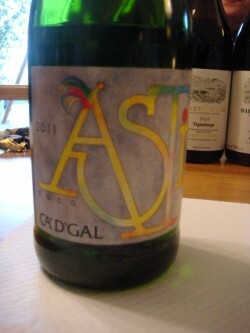 I even had the chance to make my own wine with the wine maker Ludovic Belin in Burgundy in 2008. I realized that school gives you the knowledge of the technical basics and helps you to understand the hard world of wine. But the truth and the most important knowledge comes from the vineyard and the wine makers. 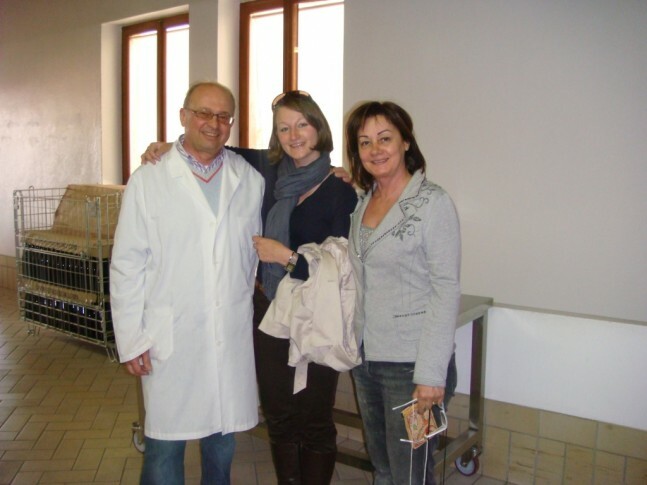 Without school first, I would probably have taken more time to understand the wine makers I met. However I did work in the vineyards and without those experiences that I had in the vineyards I would not be able to talk about wine with the same passion. Therefore I have asked my company Hilton Singapore, to send me to Italy. Italy… it’s like a dream for me, but also a nightmare at the same time! How to understand their wines? So many types of grapes I have never heard about! I am taking the challenge of understanding it! During 3 weeks, I will travel from the South to the North of Italy; meet around 40 wines makers and I will then end my trip at the world famous wine event, “VinItaly”. I am aiming to understand all I can with the goal making an excellent wine List for the Italian restaurant “Il Cielo” at Hilton Singapore. Whoever wants to follow me, you are most welcome here! During 3 weeks, I will travel from the South to the North of Italy; meet around 40 wines makers and I will then end my trip at the world famous wine event, “VinItaly”. Barbaresco is a lady, Barolo is a gentleman. This is what I have learned so far. To understand Barolo even better it was a must for me to drop by the beautiful winery of Paolo Scavino. Elisa one of the daughters of Enrico Scavino welcomed me with her pretty smile early in the morning. They work with a kind of inox vat I have never seen before, Enrico invented it. With that vat the skins are constantly in contact with the juice and limit the “pomp over” and “push down”. Barolo Monvigliero: Like an Italian woman, elegant and feminine but with good nerves! Barolo Cannubi: The richess and complexity. 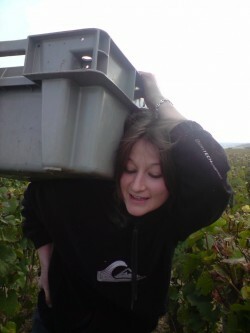 Elisa see herself like the Barolo Ambragio! During the afternoon I went to a winery I was really looking forward to going to. Near by La Morra, Gagliardo. A father with his 3 sons, a winery since 1986. A pretty modern style, I strongly recommend the Niebiolo d’Alba, which for simple moments is just perfect with plenty of fruit. La Morra is again a beautiful small town which has an amazing view over the vineyard of Barolo. 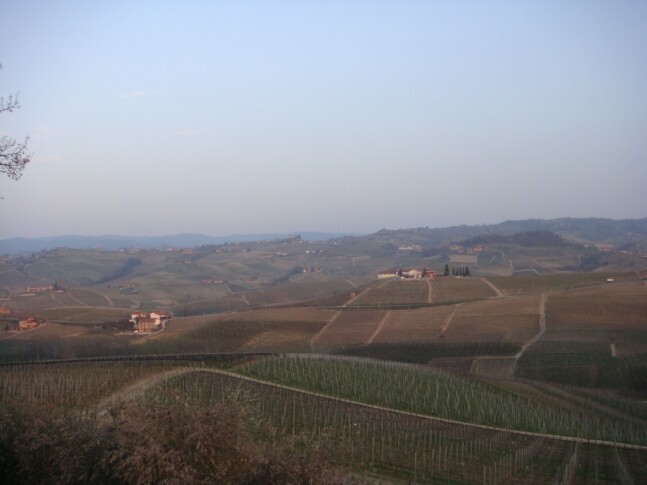 I had the chance to stay right in the middle of the most famous cru of Barolo “Cannubi”. I am going back quickly to Alba now, to have a delicious Pizza (the better I have ever had) at the restaurant Savona. Spumante d’Asti by Alessandro Boidoa romantic weekend! 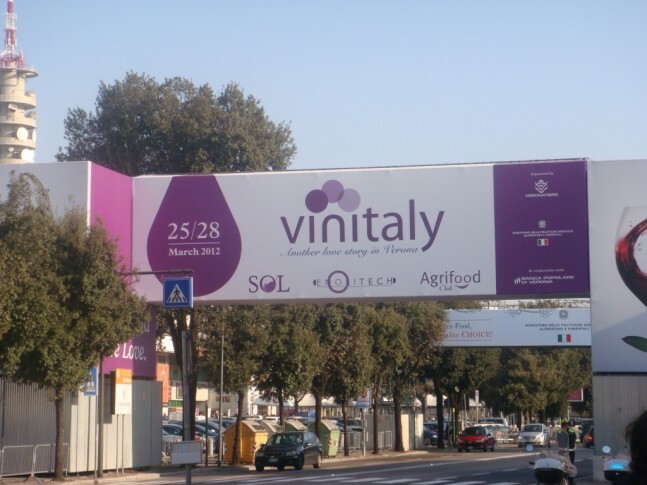 Unfortunately on that day, all the wine makers were already busy preparing for “vinitaly” (a big wine fair in Verona). Therefore I managed to have only one appointment, at Barbaresco to “Albino Rocca”. He is one of those people than when you meet them you never forget them. Back to the Albino Rocca wines. It’s a traditional style, which I really liked. Wine “to wait for”; to forget in the cellar for a while. We need to give time to those structured tannins. Beautiful potential. Well, it’s time for me to leave Barbaresco and join everyone at Verona ! I just fell in love with the Piedmont … I am kind of sad to leave… The vineyards are on beautiful hills really similar to some places in Burgundy. The Niebbolo (King of the grapes in Piemonte) is a grape which give characteristics so new for me and so interesting. I think I have got the basics of what you must understand when you come to Piedmont, now I have to taste again as much as I can this grape to understand it even better and get all its secrets. I didn’t start my first day in the Veneto slowly … I went to one of the huge names of the Amarone, Romano Dal Forno. With such a big “name” I didn’t expect to be welcomed like I was; simple, friendly and welcoming. We tasted wines straight from the barrels, which I really appreciated. It’s the way I learned anyway, it’s hard for the palate at the beginning, but when you are able to taste that way you are able to understand many more things about wines. Is Romano Dal Forno as amazing as people say? I can’t tell you unfortunately … I don’t have enough “Amarone” references and experiences to be able to judge. Did I like it? Oh yes! The idea I had about Amarone was “Heavy and sweet stuff”. I found the Amarone from Dal Forno soft, elegant and well balanced, really interesting and not heavy like I thought it would be. Well… it was a good start for me to learn about Amarone. Grapes dried couple of weeks/months before being used, it a traditional process with a lot of secrets! During the afternoon I went to the pretty town of Soave to meet the Pieropan Familly. I was about to get my first comparison with Amarone. Pieropan is a different style, different background… just so different, difficult to understand just like that. Their Amarone has got more muscle than what I tasted at Dal Forno.The family is so lovely I had the chance to meet few of them from different generations. I ended my “Amarone” trip with a tasting at the winery of Stefano Accordini, in the Valpolicella area not too far from Verona. 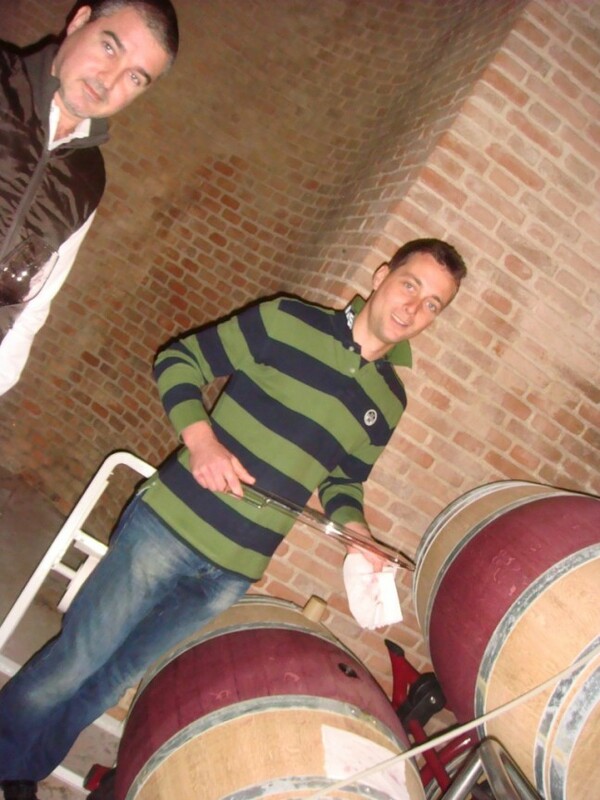 That experience gave me more ideas about what is an Amarone, What should we expect from an Amarone? Well I am afraid I will need some more tasting to learn everything but I am pretty sure I have got the basics. The Amarone from Accordini, are really fresh and well balanced actually, but still so powerful! If I am not wrong and I understood well … Amarone is not like I thought: All of them are powerful “cooked” “jammy”. Yes it is powerful and sometimes it’s not easy to finish a glass. But if you understand the main idea of this type of wine – which is for me playing between concentration and acidity – you can enjoy it: you just have to understood the game and play with your glass. And of course, you definitely must have food with it! I actually hate wine fairs. But this time I really enjoyed it. I had Raffaele, an Italian working in Singapore, as a guide. I have never tasted and walked that fast in a fair! At least it was very efficient … It gave me the opportunity to discover some beautiful wines from Friuli and taste some more wine from the Mount Etna. I met many more wine makers. From early morning until late night, I didn’t stop tasting until my palate couldn’t take it anymore…Very good training. 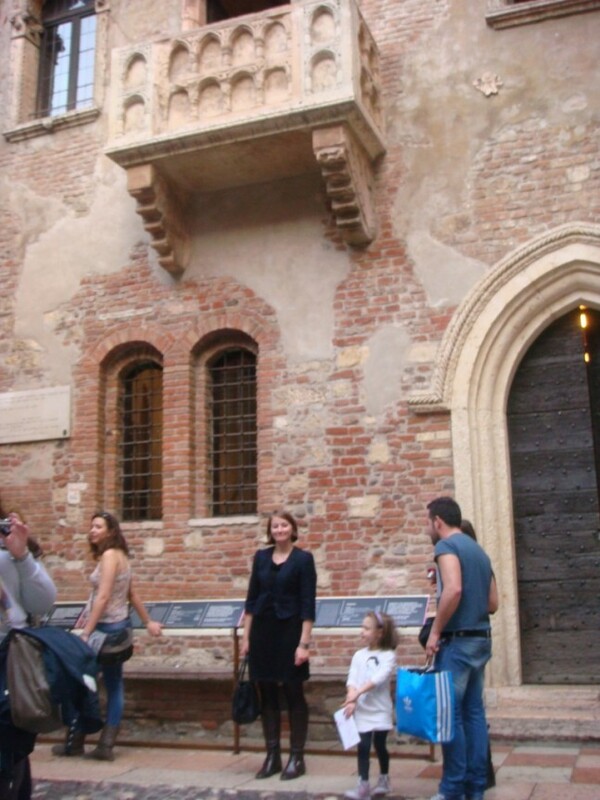 I finished the day with a walk in the beautiful and romantic town of Verona … I went to the Balcony of Juliette and looked for Romeo, but he wasn’t there! I was so disappointed. I was happy to finish this trip at the winery “Nino Franco”. Mr Primo Franco welcomed me in the heart of the Prosecco. Who said “Prosecco” is easy to understand? I was hoping to have an “easy to understand” experience at the end of the trip, especially after the couple of days I spent in the complex area of the Amarone. But no! The rules are complicated; the wines are complex. Another big surprise for me! The name of the grape “Prosecco” is used by everyone everywhere in the world, and makes the “true” Prosecco which is from Valdobbiadene feeling like it’s losing its identity. The others using its name aren’t always of the best quality, putting the Prosecco from Valdobbiadene in a tricky situation, giving it a bad reputation. This is a shame and they had to respond. Therefore they made rules like: The Prosecco grape carrying the name “Glera” and we talk about the origin area of production “Valdobbiane” to try to stop people being confused with Prosecco from anywhere with ‘any quality’. I tasted really good Prosecco! I even enjoyed my lunch which one of them called “Grave di Stecca” from Franco, it was complex and I really enjoyed it with my pasta! Mr Primo Franco, shared with me all his passion, I really felt he was trying to share all the knowledge he has. It was one of those unforgettable moments for me. Seriously, I just ended an amazing experience … My dreams came true!